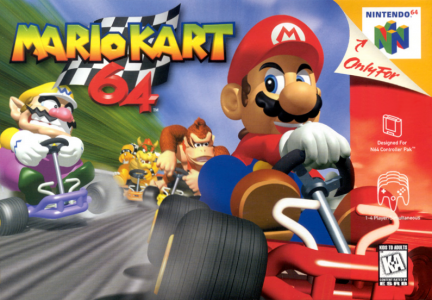 Mario Kart 64 was my first introduction to the Mario Kart franchise. This probably my favorite racing game, not only because of how easy the controls were, but how easy it was to get others to play as first timers and still have an enjoyable experience in multiplayer. The multiplayer experience, which included hours and hours of fun with family and friends is why this game is near the top of my favorite games of all time. There was nothing more enjoyable than going from eighth to first with a combination of lightning, spiky shells, and red shells. Stages like Rainbow Road, Toad’s Turnpike, Koopa Troopa Beach, and Wario Stadium are my personal favorites. I enjoyed the battle mode, but I spent most of my multiplayer time in racing. The Mario Kart experience as a whole is an experience that will ALWAYS be enjoyable.